DE CORDOVA, PHINEAS (1819–1903). 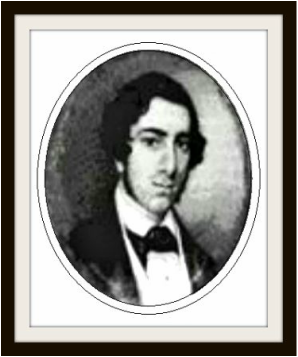 Phineas De Cordova, early Austin newspaperman and land agent, was born in Philadelphia, Pennsylvania, on March 28, 1819, the son of Raphael and Leah De Cordova. He went to Jamaica as a young man and engaged in business. He married a Miss Delgado in 1847 and moved to Texas later that year, first to Galveston and Houston, then in 1848 to Austin to work with his half-brother, Jacob De Cordova, on the Texas Herald. He also edited an Austin weekly called the Southwestern American for a time. In the 1850s he established a general land and agency business, which he operated with his son until poor health forced his retirement in the 1890s. 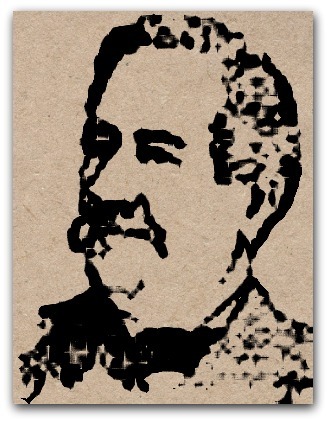 He became an expert in Texas land laws and published a topographical map of Austin in 1872. During De Cordova's time as I.O.O.F. Grand Master he enjoyed a great deal of success with the addition of several new lodges in the state of Texas. This was a welcomed relief after several years of downturn in membership. When the roll was called at the annual session at Galveston in February 1860 and the results and achievements of the previous year were enumerated it was very evident that Odd Fellowship had recovered somewhat from the indifference and in-activities by which its progress had been retarded for the preceding one or two years. However unfortunately, after the first shot of the Civil War on April 13th 1861 at Fort Sumter Odd fellowship in Texas came to a complete standstill for a period of six years. 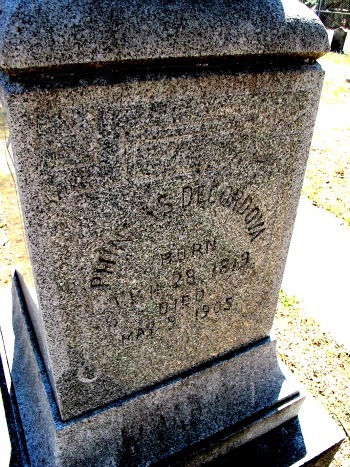 "Phineas De Cordova, whose life in Texas embraced a period of nearly sixty years and in a modest way was identified with the history and development of the State, died at the home of his son, Mr. Sam De Cordova, at Austin, May 8, 1903. "The funeral occurred at 4:30 p. m. the following day from the family residence, 706 Guadalupe street; interment in the Jewish cemetery. The religious services were conducted by Rabbi Rosenstein, of Temple Beth Israel, of which the deceased was a communicant. "The remains were followed to their last resting place by the congregation of Temple Beth Israel, the local lodge I. 0. 0. F. of which he was a member, and a large concourse of leading citizens. "The honorary pallbearers were Hon. A. W. Terrell, Hon. Walter Tips, Col. A. P. Wooldridge, Hon. Wm. Walsh, and Messrs. B. Melasky and Henry Hirshfeld. "The active pallbearers were selected from the Odd Fellows and congregation of Temple Beth Israel. Those from the Odd Fellows were Messrs. H. M. Metz, Phil. Stein and John Kyle, and from the Temple Messrs. Louis Davis, George Ash and A. B. Haber. "Mr. De Cordova was born in Philadelphia, Pa., March 28, 1819; came to Texas in 1847, and spent a year in Galveston with his brother, Jacob De Cordova, who located in the then republic about ten years prior to that date; resided for a short time in Houston, and then established himself at Austin, thereafter his home until the time of his death. He was editor of a newspaper published at Austin in early days and won recognition, in that capacity, as a clear and sound thinker and elegant and forcible writer. In later years he contributed various articles to the leading newspapers of the State. "He was associated with his son, Mr. Sam De Cordova, in the real estate business until failing health compelled him to retire from active pursuits a few years since. "His son and six grand children (two children of his son, and four children of his daughter, the late Mrs. B. H. Ward) survive him. He was a man liberally educated, widely read, with a mind stored with recollections of the heroes and statesmen of early days with whom he was associated and important events that he witnessed or in which he participated, with a heart devoted to Texas—chivalrous, patriotic and noble. He has left a memory that all who knew him dwell upon with pleasure and that will reflect honor upon his descendants to their latest generation. Source: Year Book for Texas: party conventions, election returns, inauguration of Governor Lanham and Lieutenant-Governor Neal, legislative work, public officials and current reports of departments and state institutions, important events, obituaries of distinguished dead, industrial development, statistics, biographical sketches, and historical manuscripts never before published. Raines, Cadwell Walton, Austin, Tex. : Gammel-Statesman Pub. Co., 1903, pages 45-46.